It got me thinking, though, about what people think when they talk to me about my travels. I get so many “Wow that’s so amazing,” or “I’m so jealous,” and mostly “I could never do that…,” but what’s the motive behind the question, really? So, I started asking. When people asked me what it was like, I’d answer, and then ask them why they wanted to know. The answers varied, but they all sort of followed a similar theme in some sense, and that was the idea that it was something brave or pioneering of me to be a person that grew up around the world, always travelling. Yet, it isn’t really pioneering at all, is it? It’s certainly not brave. It’s just life. This is the way we grew up, it’s not like we had a choice in the matter, it’s just something that happened to us, like eating lunch or driving to a friends house. It’s all just part of life. Our parents took us from country to country because that was what they had to do, and we, as TCKs in production mode, tagged along and did what do best: we thrived on culture. It’s not our fault, and it never was, that we became who we are today, just like it’s not the fault of an FCK they did not travel in their youth. We are the products of someone else’s decisions, and like any child going through a developmental period, we simply learned to adjust to what was our new period of normality. There isn’t bragging in our words, or at least there aren’t in mine. It’s just a life, like so many others, with a different background and a different string of experiences. To ignore it would be to ignore who I am, and ignoring that I like the person I am would be a massive disservice to myself and my parents. And then it all suddenly made sense. The FCKs who are looking at me and seeing a guy who loves to travel, one that wants to get up and go all the time, who loves cultures and different corners of the world and back alleys that lead to mysterious places, they’re confusing my sense of adventure with something bigger. They see a pioneer in me, someone who isn’t scared to step outside of what’s considered culturally normal to them, but I’m nothing special. The people that are special are our parents. They were pioneers to their core, completely brave, completely original. Our parents, barring those few of us who have TCK parents, in which case it was your Grandparents most likely who fall into this category, broke the mold of everything that is culturally normal to them. They, like all of those around them, were born and raised into a First Culture Kid life. They grew up with the same friends, went to the same schools, had their families all around them all that time, knew the feeling so well of someone being on their doorstep at a moments notice when need be. But they chose to leave. They chose, knowing the entire foundation of their life would be so far away, to jump into something completely different and new. They chose something that so many seem terrified of. They chose to do the thing that so many FCKs wrongly credit me for doing, me, a creature of habit, chasing the only thing I know how to do in terms of travel, and that’s to keep going. They credit me for this bug, this itch, this endless need to go, when to me that’s nothing but a natural and inherent desire. Me, I sit here and think about how terrifying of a concept it is to stay put, something I hope never ends up happening to me. I want to go, I want to keep running, I want to see it all and never stop. And that’s exactly what I was built to do. In a way, I am no different to any FCK that doesn’t want to move. We are both just creatures of our development. Our parents, on the other hand, reshaped their world to make us. And while some of us may still be in that transitional phase of realization, and others may have made it through and love their TCK nature, and others still don’t even realize they have the TCK inside of them yet, it was our parents that took the plunge and changed everything. So, in the spirit of the season, whatever cultural celebration you may be having at this time of year, or perhaps just in the spirit of us being people thrust into this crazy world: This TCK would like to thank all the parents in the world who were brave enough to take that leap of faith and do what so few have the courage to do. You left a life of comfort, predictability, and normality behind, and in the end, you created us. This entry was posted in Adult TCK and tagged Adult Third Culture Kid, expat, expatriate, internaitonal travel, International Travel, TCK, TCK Parent, TCK Parents, TCKs, Third Culture Kid, Third Culture Kid Parent, Third Culture Kid Parents, Third Culture Kids, World Culture, World Travel on December 19, 2013 by James R. Mitchener. One of the most common questions I get from First Culture Kids, after the initial wave of questions inspired by the shock of my multicultural upbringing subsides, is “and what do you think about [insert current place I’m living]?” I’ve written an article about this before in which I discussed how I, as a Third Culture Kid, define myself by the place I’m not living, but I’ve never really answered in a way that satisfies the original intentions of this collection. In truth, the question seems inconsequential to any FCK, but to a TCK looking back on their lives, it is often weighted with so much more than anyone would guess. To fully understand the weight of this question, I first need to explain the difference between two separate stages of a TCK life; At any point, a TCK is either an Expat TCK, or a Domestic TCK. 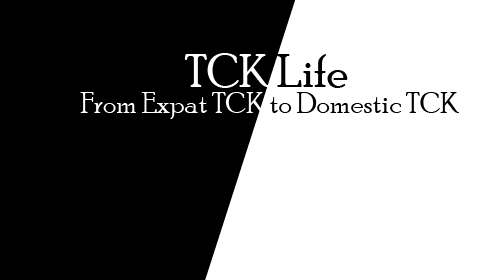 Now, I understand that saying Expat and TCK together is rather redundant, but I think it’s important to note the difference between an Expat TCK and a Domestic TCK. 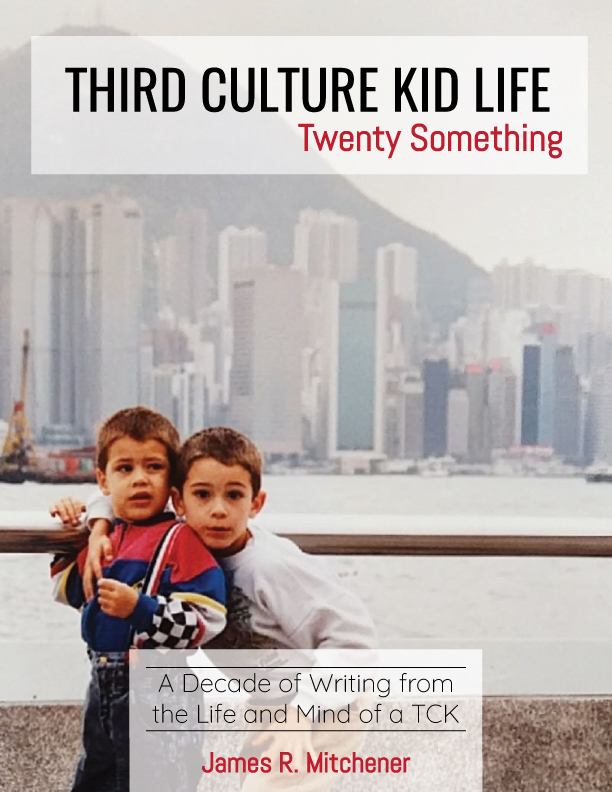 Regardless of where you are, as a TCK, you will always feel like a Third Culture Kid. That’s inevitable. Our upbringings have created a permanent level of separation between us and natural FCK society. It’s the way of our lives. But there’s a big difference between Expat TCKs and Domestic TCKs, one that shapes the entire way we operate in the culture we’re actively involved in. So, what do they actually mean? Expat TCK – A Third Culture Kid who lives in a foreign country in which they are the obvious minority, be it through language, skin colour, accent, customs, etc. It is obvious to both the TCK and the culture in which the aforementioned TCK is living that he/she has moved there like many other Expats. The TCK is forced to blend by showing their knowledge of the culture they are living in, not by natural or physical means. 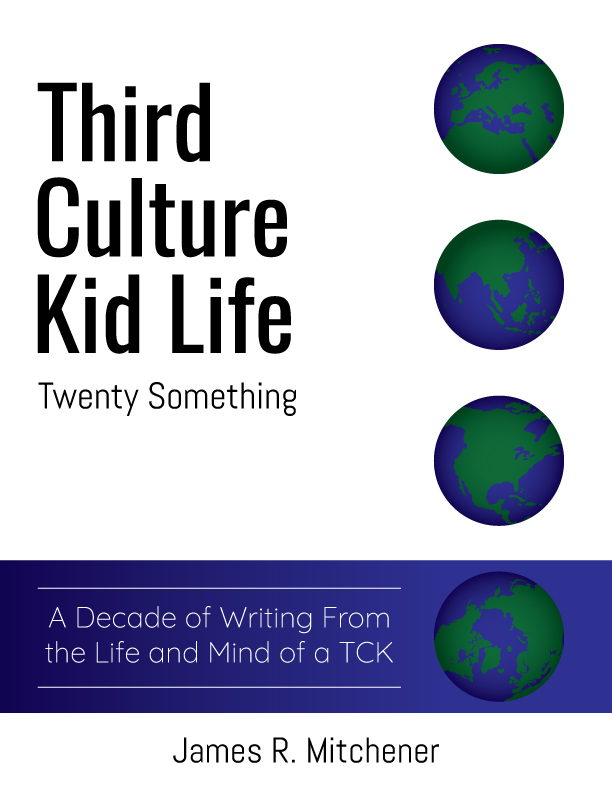 Domestic TCK – A Third Culture Kid that lives in a foreign country (or their passport country) that matches many of their external identifiers, such as skin colour, accent, language, customs, etc. This type of TCK blends naturally and is only recognized as “different” when a relationship with this TCK is established and particular foreign cultural adoptions become evident. Now back to the question at hand: What happens when someone asks what it’s like living in [insert current country here]? The curious element of this question is that it has only ever been asked when I have been in Domestic TCK mode. Something about being an Expat TCK tends to lead to a more quiet acceptance of your presence, one that lacks a good deal of approach from others, with people having a tendency to wait for you to make the move in drawing a connection rather than you doing so. This has a lot to do with cultural restrictions. We are naturally more comfortable with what we understand and know, and things that are foreign to us make us weary. This doesn’t change with people, so Expat TCKs are forced to engage in order to break down boundaries, where Domestic TCKs fit in well enough that at first glance no boundary is perceivable. When I was first asked what it was like living in [insert place] over the others, I was back in Houston after all my international travels had come to a close. I knew that traveling was behind me for a while, but I had no idea that 11 years later I would still be living in the same country with no immediate promise of departing. So, when I was asked what I thought about Houston, I was naturally resistant. People saw this as a resistance to the place itself, but the truth is, that’s never what’s happening with TCKs. We are natural movers. We do it so well that we may be the only group on the planet that the “Most Stressful Life Event: Moving” rule doesn’t apply to. In fact, I am more relaxed moving than I am sitting still. 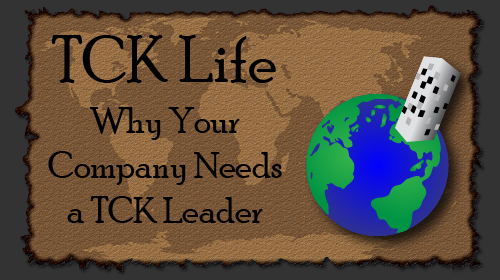 The reason for our resistance is the shift from Expat TCK to Domestic TCK. Most of us have spent our entire lives being the minority outsider, forcing connections and demonstrating our cultural understanding in order to be accepted as more than just the foreigner. 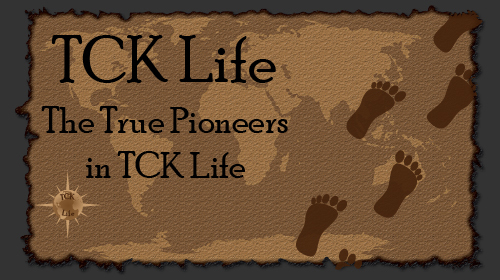 The greatest moment of any TCK experience is that very first second in which a majority individual accepts you, at least in part, as a member of their culture due to your understanding, respect, and participation in their cultural practices. There is no greater feeling of euphoria in the world for us. It’s what we live for! Of course, that means that when we are stripped of our Expat TCK status and are transitioned into our Domestic TCK status, we are stripped of the vitality of our experiences. The unfortunate truth is, everything that we know has been completely turned around. Like I said before, people are made uncomfortable by what they do not understand, and unless you are a TCK yourself, the TCK mentality is impossible to understand. So where an Expat TCK starts every relationship with a lack of trust and understanding, building up to a state of cultural acceptance, the Domestic TCK suffers a much harsher reality. Whenever a Domestic TCK starts a relationship, it is always assumed they are part of that culture. Then, as the relationship begins to unfold, Cultural Slips begin to happen at random intervals, revealing the foreignness of our true identity. The subconscious is a powerful tool, and for FCKs, they feel as though they have been tricked or deceived. Unless the person has an open mind, a trait that is unfortunately sparse, the doors go from open to closed on trusting and accepting the TCK. And as everyone knows, it’s much harder to regain lost trust than it is to gain trust from a blank slate. In becoming a Domestic TCK, our lives become an endless struggle to walk the line between being different and blending in. We have to polarize our lifestyle, completely flipping how we used to act. We go from intentionally blending into the culture to show our respect to intentionally rejecting it to stand out, effectively avoiding the mistrust that is created, albeit subconsciously, when it becomes evident we are not who people think we are. But that’s not us. We did not learn and grow by making ourselves overtly known. We are not natural rejecters of culture; We are natural blenders. To make statements like “I’m English” when in an American culture hurts us, not because it’s not part of who we are, but because it’s just one tiny fragment of who we are. We are not English or American or Chinese or Indonesian or French or Spanish or any other country in the world. We are all of them we have touched. And we are endlessly proud of every tiny fraction of a culture we have picked up. So when we are asked what it’s like to live wherever we’re living, we aren’t reacting the way we do for the reasons you think. We reject because to be a Domestic TCK is to contradict everything you were raised to do. It’s to make apparent who we are, instead of blending into what we aren’t. And that moment when the shift takes place is the single most challenging part of any Third Culture Kid’s life. This entry was posted in Adult TCK and tagged Culture, Domestic TCK, expat, expat life, Expat TCK, expatriate, FCK, FCKs, First Culture, self definition, TCK, TCKs, Third Culture, Third Culture Kid, World Culture, World Travel on May 7, 2013 by James R. Mitchener. While this collection is based on a foundation of the Third Culture through the eyes of me, a particular Third Culture Kid that has grown up and joined the world of First Culture “normies,” I have started to realize that this isn’t really about the Third Culture exclusively. In reality, it’s about culture in general, it’s just that the Third Culture is a collection of so many cultures that it is the melting pot standard that provides a general level of understanding and bridging acceptance that is absent in most other cultures. Of course, that still means that in order for you as a read to appreciate this collection, you first have to appreciate, but more importantly to understand, culture as a whole. What is it, what does it mean, what does it do? I have been thinking about this immensely since my talk at the University of Warwick’s One World Week Social Integration Forum. I got asked a question about how a person can find a job in a foreign country they aren’t officially allowed to work in. My default thought was “well, I mean you can’t. That’s illegal and you’ll get deported and won’t ever be able to come back.” Of course, I didn’t say that because that’s honest and I am generally only brutally honest when I’m writing here. But what that question did do, admittedly without its intention to do, was to get me thinking about the problem that company’s have with developing a company culture. Company culture is a word like “Green” or “Sustainability.” Everyone loves it, but the more I work and the more I deal with people using the word (I’m a marketing and operations consultant, so much of my working life is using words like that to boost internal and external support), the more I realize that no one has a single clue what it means. Companies keep touting their great culture and how amazing it is, cramming their mission statement and motto down employee’s throats, but when you step back and look, the culture they claim to have created never existed in the first place. It was an illusion, a facade, a fake. An idea that never had any hope of becoming anything more than the words on a piece of paper a new employee was forced to read once and immediately forgot about. A good example of this would be a little start-up I worked at called CityVoice. The Angel Investor there was the founder of a huge company I’m sure many of you know of if you’re even remotely internet literate, the managed hosting company known as RackSpace. 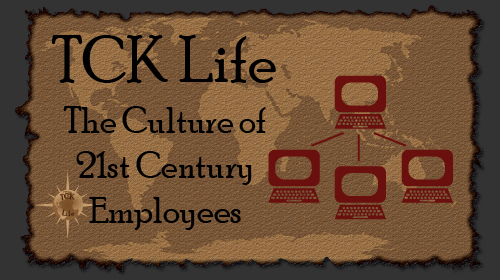 RackSpace had an excellent culture, and it was believed by many of the original team who started RackSpace who also joined CityVoice that the culture was one of the main reasons for their overwhelming success. Everyone loved working there, and everyone loved using RackSpace for hosting. It was just an incredible environment to be in regardless of which side of the table you sat at. 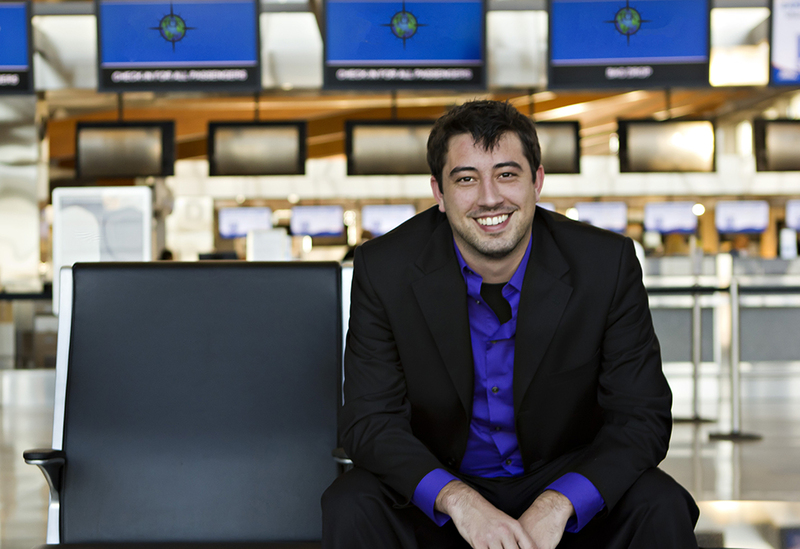 When CityVoice started, they tried to duplicate that culture that had made RackSpace so incredible. It was all they talked about, maintaining the culture, loving the culture, living the culture. The culture was everything! But the culture they were describing wasn’t the culture the office had. It was a fun place to work, sure. We had nerf gun wars in the office, had a fridge stocked full of beer, had arcade machines and couches, an open working environment where everyone was sat in the same space as equals, but this happy-go-lucky culture just didn’t seem to grip. And when the culture wouldn’t stick, the managers got mad. Culture, not just company culture, is not something you create at will. It is something that is created by the actions, behaviors, thoughts, and feelings of a community. One person doesn’t make a culture. A group makes a culture, and that culture is impacted, shaped, and developed based on the external influences of other cultures and individuals. It can strengthen a culture, or it can weaken a culture. A strong company culture is created by doing everything the right way. Look at Google and Netflix, two of the most successful culture stories of any business anywhere. They both treat their employees with the utmost respect. Their vacation policy is: “If you need it, take it. No hours, no tracking. Just get your job done and be happy.” They have fun as much as they work, and in doing so they work harder than ever. They are happy with their peers because their peers are equals, even in corporate hierarchy. Everyone’s opinion is valid, and everyone’s ideas are the building blocks to their success. Everyone matters. And above all, the customer is always the primary goal. When your card expires at Netflix, they just keep your account rolling and send you an email saying “Hey, your card has expired. Would you please update your card when you have a chance? We’ve kept your account rolling, so whenever you have time. Your streaming won’t be affected.” In doing that, they create a support level from customers that makes employees proud to work there, proud to be part of the team, proud to be providing a service that the vast majority loves and supports. Those cultures weren’t built by saying “This is the culture, live it.” They were built because a company started with an informal motto of “Don’t be Evil.” That external goal, the desire to do everything they can to help better their community and peers, is what created a harmonic culture. A shared idea, a desire to be part of something more, that’s what created the culture. Unfortunately, that’s what most companies and leaders miss. They keep their employees on tight schedules, dock them holiday hours for needing to go to the doctor, watch their email and internet and write them up if they leave 5 minutes early or come in 5 minutes late. They Big Brother everything and put no faith into their team to be good, hard working individuals. They reject customer complaints and ignore change because “we know best,” and then they wonder why so many of their employees are miserable, quitting, not doing their jobs, or are incredibly inefficient. They wonder why customers hate them, why their churn rates are so high, why they are sales driven instead of retention driven. And then they blame the people for not perpetuating the culture. When I was eventually asked to leave CityVoice for oh so many reasons, one of the main being that I was constantly battling with people to stop forcing a culture and start doing things right for a change instead of lying to our employees and customers, I started consulting because I couldn’t bring myself to be in a situation like that again. Now, I work no less than four jobs at any given time, one of which is always full time work, and the others are just sort of “on the side for fun projects.” And in all of those jobs, in all elements of the success therein, I have focused on my understanding of culture to inspire and create a sense of belonging for everyone I work with. And it’s all built first and foremost upon my understanding of culture in the world, and how you can strengthen the power of your team by making them proud to be by your side. It’s a shame, really, that more TCKs aren’t in positions of leadership. Of course, we are still a young generation, and that will change over time, but one of the most crucial foundations for success in a business is a strong company culture, and that’s something too few seem to understand how to achieve. I’ve said it a million times, and I’ll say it again: It’s better to have 1 employee who wants more than anything to be part of what you’re doing than it is to have 10 who don’t care if they have a job with you tomorrow. So, leaders of the world, let me leave you with this: Stop forcing culture. Make your people, both employees and customers, never want to leave your side just by doing the right thing, which more often than not you’ll see is as easy as stepping back and thinking “if I were them, what would I want from this situation.” Only then will you find the culture you’re looking for. 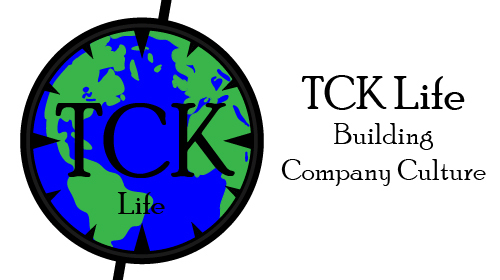 This entry was posted in Adult TCK, Cultural Identiy and tagged company culture, corporate culture, corporate identity, Culture, developing company culture, TCK, TCKs, Third Culture, Third Culture Kid on March 15, 2013 by James R. Mitchener.